I'm back today with a card I made for a friend of mine. She is an amazing person and I really wanted to make something special for her. 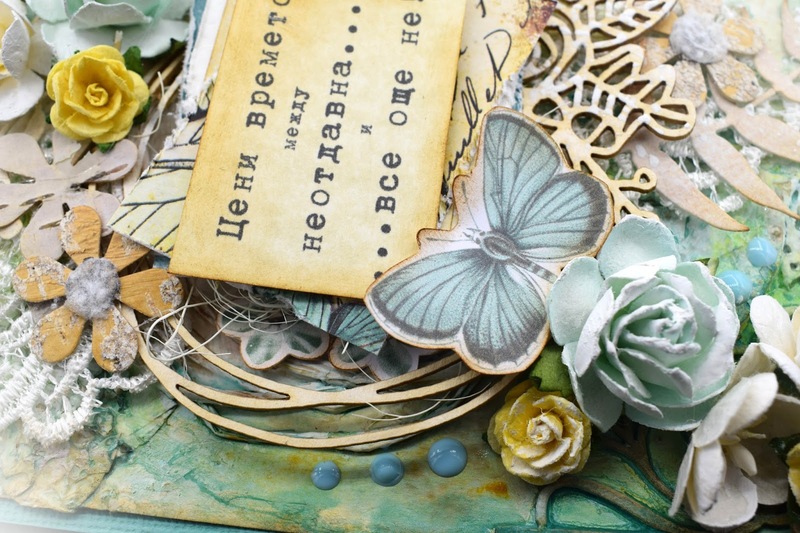 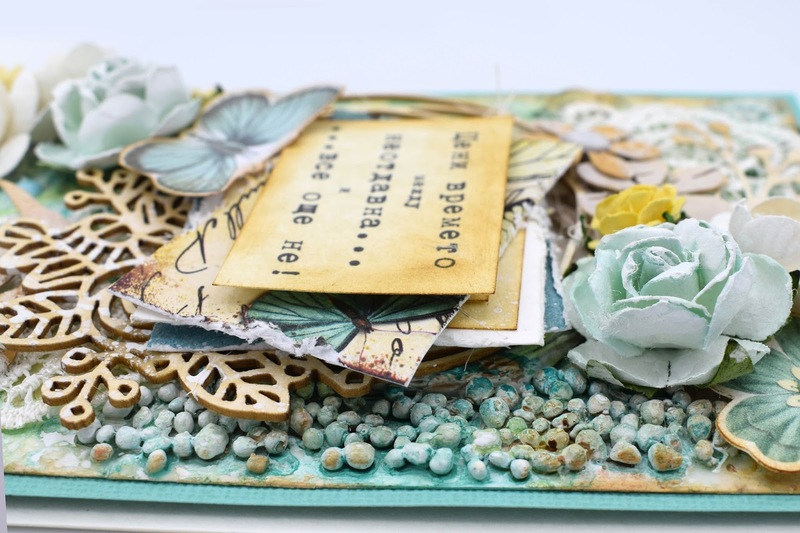 I created this expressive background by using some heavy body gel to add texture, art stones, chipboard accents and spray inks. 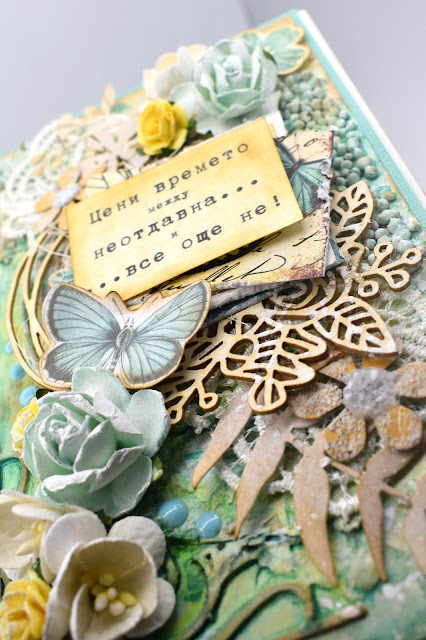 The card is finished with beautiful mulberry paper flowers, embellished with butterflies and enamel drops. 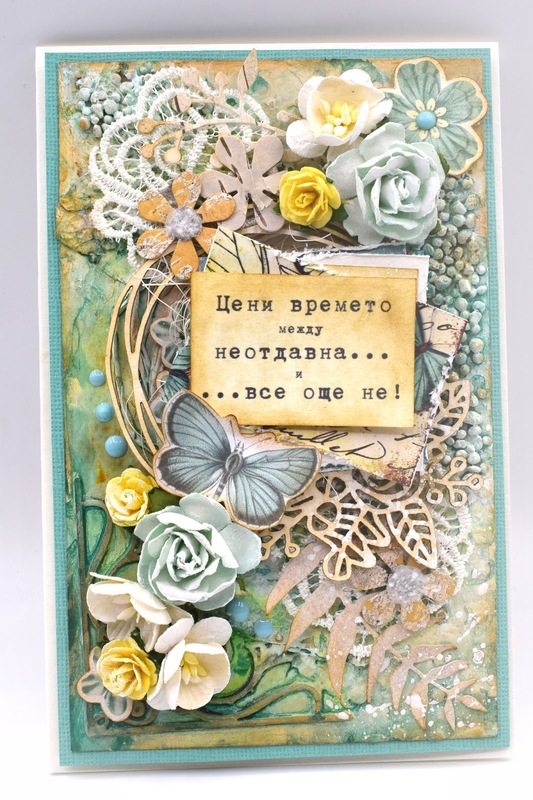 The sentiments on the card translates as "Honor the moment between no longer and not yet" , I think it is a good reminder that we should live today and try to make everyday as beautiful and meaningful as we can. For this card I used the following Pentart products: Heavy body gel, Small 3D balls, Media mist sprays, Matte paint and Express glue. 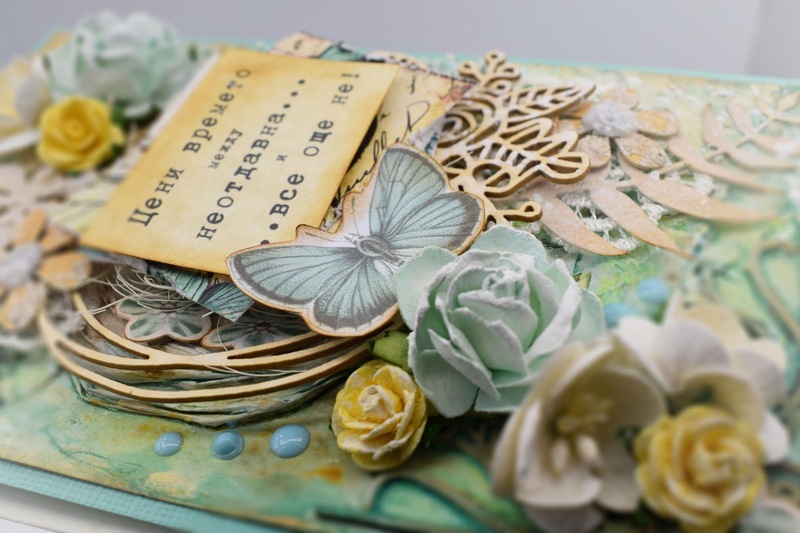 Thank you for stopping by and wish you a wonderful, full of creativity day!